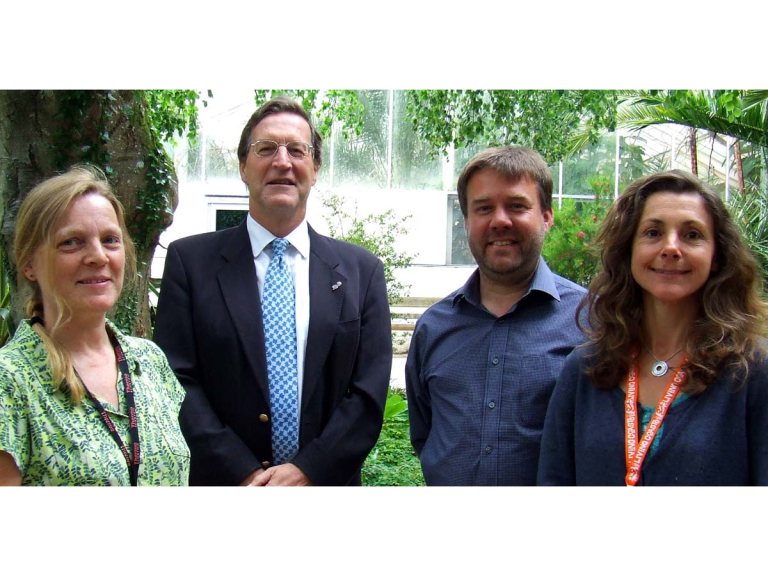 A major Devon conservation charity has hosted a key national conference. The Whitley Wildlife Conservation Trust held the BIAZA Native Species Working Group 2017 annual conference on 27th and 28th June. The Trust is the charity that runs Paignton Zoo Environmental Park and Living Coasts in Torquay, as well as Newquay Zoo in Cornwall and several small nature reserves. BIAZA is the British & Irish Association of Zoos and Aquariums, the professional body for top zoos. A full programme of talks and workshops was assembled, with Day 1 held at Paignton Zoo and Day 2 at Living Coasts. In addition, delegates were able to attend a BBQ at Paignton Zoo, join evening wildlife activities and take a wildlife watching boat trip led by local naturalist Nigel Smallbones. Around 60 delegates attended from organisations as diverse as Colchester Zoo, the RSPB, Jersey Zoo, Halesowen College, Chessington World of Adventures Resort, Chester Zoo and the National Marine Aquarium in Plymouth. Talks covered species including bats, bees, beetles, freshwater mussels and bog hoverflies. Topics discussed included surveying and monitoring, education and interpretation, beavers, wildcats and re-wilding. Reflecting on a successful event, organizer Tracey Hamston listed her personal highlights: “The Vincent Wildlife Trust work on the translocation of pine martens into Wales – a really well planned project illustrating best practice for species conservation translocations – they tracked the animals with radio tracking and GPS collars which showed where each individual settled into their new territories – very cool! Speakers came from charities such as Buglife, the RSPB and Devon Wildlife Trust; from academic institutions such as the University of Exeter and the Field Studies Council; from zoological collections including Colchester Zoo, Living Coasts, the Zoological Society of London and the Royal Zoological Society of Scotland. Research students working with WWCT gave presentations on their projects.